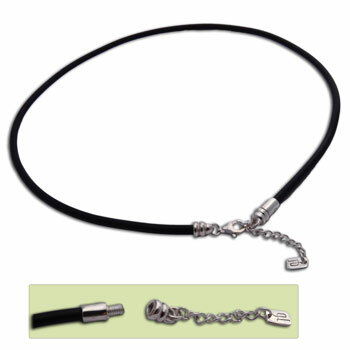 Charmas Beads Necklace Base 3 mm Rubber and Silver Screw off end 18 +1"
The 3mm necklace is made of rubber with sterling silver screw-off end clasp. Adjustable: 18 inches + 1 inch / 45 + 2 cm. It is perfect for use with our charmas good karma BEADS collection. You can use it as a base and buy whichever bead charms you like. Change them out based on your mood and add to your collection as you like.